The actress called out a huge problem in Hollywood. Where are the people of color in the room? That's what Ellen Pompeo wanted to know when she called out the lack of diversity in the world of fashion and media. The “Grey’s Anatomy” star was doing an interview with Gabrielle Union, Emma Roberts and Gina Rodriguez for the Women in Television issue of Porter, the online magazine of Net-a-Porter. The topic turned to Hollywood’s diversity problem, including the lack of representation for people of color, and Pompeo found a powerful way to bring the lesson home. She added that she has started demanding racially inclusive teams for all of her projects. People had a lot of feelings about Pompeo’s powerful remarks, but maybe none more than Gabrielle Union, who nodded along as Pompeo spoke and gave her a little toast when she was done. Fans on Twitter loved Union’s reaction almost as much as Pompeo’s original message. I love Gabrielle Union's face here, like she FINALLY doesn't have to be the one saying this. FINALLY. Union herself posted the interview on Twitter and asked her fans to watch the entire video. “Grey’s Anatomy” creator Shonda Rhimes also showed her support. Pompeo often speaks out about the lack of racial and gender equality in Hollywood. 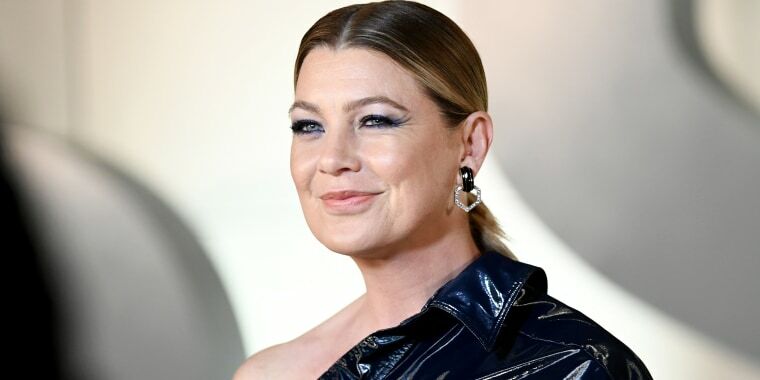 She recently opened up about her struggle to negotiate her salary on “Grey’s Anatomy," revealing that although she is the title character, she had to fight to earn more than her male co-stars. "At one point, I asked for $5,000 more than (Patrick Dempsey) just on principle, because the show is 'Grey's Anatomy' and I'm Meredith Grey. They wouldn't give it to me," she told The Hollywood Reporter. She also revealed that she once considered quitting the series, but ultimately decided against it. "Why didn't I? It's my show; I'm the number one. I'm sure I felt what a lot of these other actresses feel: Why should I walk away from a great part because of a guy?" she said. "You feel conflicted but then you figure, 'I'm not going to let a guy drive me out of my own house.'" Her persistence paid off. In 2017, Pompeo signed a $20 million deal and became the highest-paid actress in a primetime TV drama. "I'm 48 now, so I've finally gotten to the place where I'm OK asking for what I deserve, which is something that comes only with age," she said.